How to candle an egg. Great deals on egg candler's plus Watch our Featured Video from Fred's Fine Fowl: ​How To Candle a Chicken egg... is it fertile? Here's how to tell...It is important to candle your eggs if you are hatching them in an incubator because eggs which are not fertile will explode in an incubator. Candling an egg is a way of looking inside the egg to make sure that it is fertile. Fertile eggs will usually hatch if you have your incubator set correctly and maintain the proper humidity. Candling an egg without an egg candler is very easy to do. Hold the egg in your hand illuminate the egg from behind with a flashlight or other bright light and you will be able to see veins and shapes of the embryo of the baby chick inside the egg shell. If you see red veins or larger shapes inside the egg it means the egg is fertile. If this does not work for you your best bet is to use an egg candler. An egg candler will allow you to see images inside of the egg. 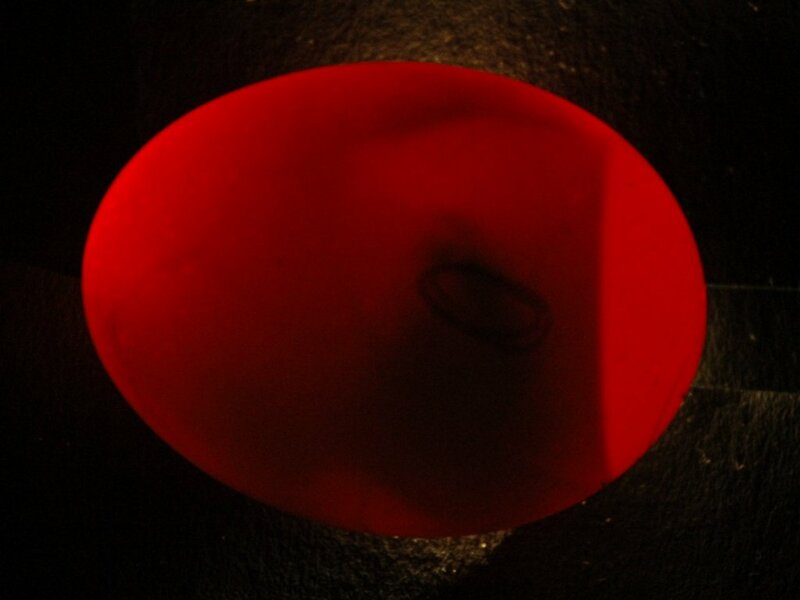 Egg candlers with image or ova scopes allow you to see more detailed images as the baby chick develops inside the egg. Please leave us a comment at the bottom of this page in our new comments box so we know you were here. We love to know what you think. Fred demonstrates how to candle an egg with a flashlight. The Brinsea Ova View Standard egg Candler is designed to be either hand-held or can be left on a work surface. Battery powered for convenience it uses high output high efficiency LED illumination – so no bulbs to replace and no concerns about overheating the eggs during inspection. Supplied with a flexible black ring to seal against the egg shell and a set of 4AA batteries, it can also be used with rechargeable AA batteries. The Ova View Standard is suitable for monitoring the embryo development of pale, plain shells (most species of hen, duck, goose, etc.) For darker and mottled eggs we recommend the Ova View High Intensity. Like all Brinsea products they come with a full 2 year warranty. Now with the OvaScope High Intensity you can watch the live embryo develop inside even very dark or mottled eggs. The OvaScope High Intensity has a higher light output from a higher spec LED than the standard OvaScope. The scope greatly improves the clarity of the image by blocking out ambient light, magnifying the image of the egg, and allowing the viewer to rotate the egg smoothly as it is observed - without touching the egg.